Originally written in 1970 by late writer-director Adi Marzban, Shapurji Na Tapela Saaf "has a team of ladies pitted against a team of gentlemen," Sam Kerawalla says, "in a comedy of errors that was as funny a decade ago, when we first ran the play at NCPA, as it is now." Scratching his head, theatre veteran Kerawalla reminisces about the days when drama was a dominant entertainment option, with each play running for as long as five hours. "Of course, Shapurji.. was never intended to go on for longer than three hours," Kerawala clarifies, telling us that a few modifications were a must, given that 39 years have lapsed since the play was written. "Fashion and technology were just some areas we had to update to coat the script with a contemporary hue," Kerawala says, admitting to being excited over working with fresh talent Danesh Irani, Suzanne Bharucha and Danesh Khambatta. "It would be nice to have new scriptwriters break into the scene, but I haven’t come across any good, fresh scripts that we might use," says the man who worked on lighting for iconic projects that include the Aap Jaisa Koi number in Feroz Khan’s Qurbaani. Grateful, therefore, that Marzban’s wife Silla, set up the Adi Marzban Endowment Fund at the National Centre for Performing Arts, which allows him access to the celebrated scripts of his old friend and colleague. "Adi had a flamboyant personality. He was a great dancer and musician, and then, he also enjoyed astrology. He would sit for hours and hand-paint birthday cards for close friends," Kerawalla smiles. Between laughter, he shares an instance when he walked into Marzban’s office, and found the director knitting. "When I made a remark about the absurdity of the scene before me, he said, "What’s wrong with it? Knitting finetunes your motor skills and strengthens the fingers." 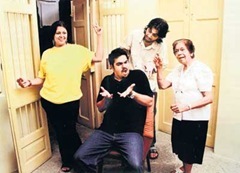 The most challenging project he worked on with Marzban was a play that centered on the life of one couple. The script took the audience through seven decades in their lives, and the set was nothing more than a few sheets of dark cloth framed with wooden pattis so that everything from the scenes to the passage of time, was depicted through lighting effects. On: Today, at Tata Theatre, NCPA, Nariman Point at 6.30 pm. 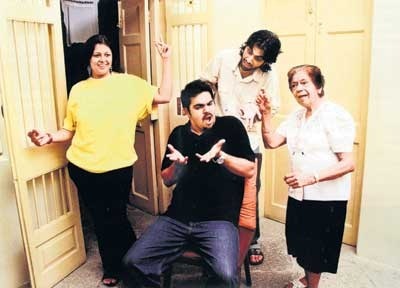 Adi Marzban, the son of Pherozeshah Jehangir Marzban, a Parsi journalist and playwright who often employed the nom de plume "Pijam", an anagram formed from his initials, he trained in theatre at the US-based Pasadona Playhouse. During his lifetime, he wrote numerous Parsi-centric plays, and the epic film On Wings of Fire, which depicted the history of the Zoroastrian community.